Indiana's controversial school voucher program was upheld by the Indiana Supreme Court. (CNN) - In a ruling that could reverberate nationwide, the Indiana Supreme Court upheld the state's voucher program, which gives poor and middle class families public funds to help pay for private school tuition, including religious schools. Indiana has the broadest school voucher program available to a range of incomes, critics say, and could set a precedent as other states seek ways to expand such programs. Supporters say it gives families without financial means more options on where to educate their children. However, opponents of the Indiana program had sued to block it, describing it as unconstitutional and saying it takes money from public schools. Teresa Meredith, the vice president of the Indiana State Teachers Association and one of the plaintiffs, said she was "very disappointed in the ruling." As many as 9,000 students statewide are part of the voucher program and more than 80% use the funds to go to religious schools, according to Meredith. 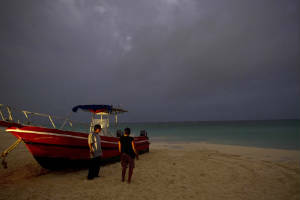 But in its unanimous 5-0 ruling, the Supreme Court said that was not an issue. It said it did not matter that funds had been directed to religious schools as long as the state was not directly funding the education. The tuition, the court said, was being funded by the parents who chose to pay it with their vouchers. 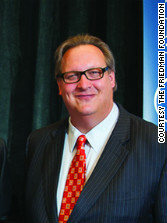 "Whether the Indiana program is wise educational or public policy is not a consideration," Chief Justice Brent Dickson wrote. The public funds "do not directly benefit religious schools but rather directly benefit lower-income families with school children." 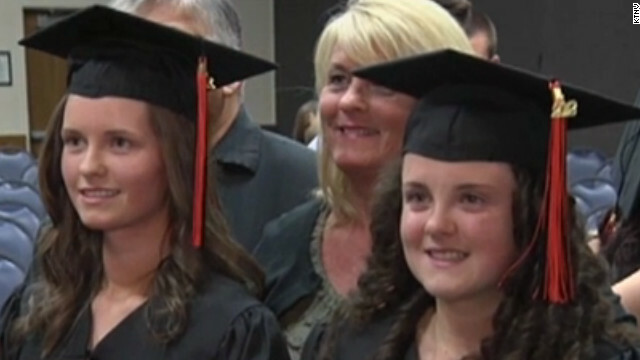 Twins Kaleigh and Danielle Fair graduated from Nevada Virtual Academy last year. 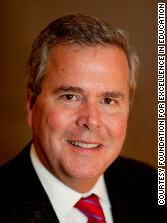 Editor’s note: Jeb Bush was governor of Florida from 1999 to 2007 and is chairman of the Foundation for Excellence in Education. (CNN) - Kaleigh Fair had to make it work. The Las Vegas teenager suffers from two different illnesses – one an excruciating immunodeficiency, the other a rare brain condition called Chiari malformation where portions of the brain protrude into the spinal cord. When spending five hours a day hooked up to an IV prevented her from continuing classes at her traditional high school, Kaleigh didn’t give up on her education. She transferred to the Nevada Virtual Academy, a tuition-free online public high school that individualizes curriculums for students of all learning abilities. Inspired by Kaleigh’s strength, her twin sister Danielle switched from her traditional high school to Nevada Virtual, as well, allowing her to receive a quality education while spending more time helping her sister overcome two life-threatening illnesses. The Fair sisters graduated from Nevada Virtual Academy last spring and enrolled at the University of Nevada-Las Vegas. After all the time she spent at the doctor’s office, Kaleigh is pursuing a degree in nursing – through online courses, of course. Parents, students and community members will gather at more than 3,000 events across the country this week in order to celebrate thousands of outstanding students like Kaleigh and Danielle, and the educational options that they’ve utilized in order to thrive when presented with situations that just a few years ago would have kept them on the educational sidelines. The nationwide celebration is called National School Choice Week 2013. Led by a bipartisan, grassroots coalition, National School Choice Week celebrates the rights of parents and children to choose high-performing traditional public schools, public charter schools, private schools, magnet schools, home schools or virtual schools. The right to a quality primary and secondary education is something that can and should be one of our most fundamental, uniting American issues – and digital education is no exception. 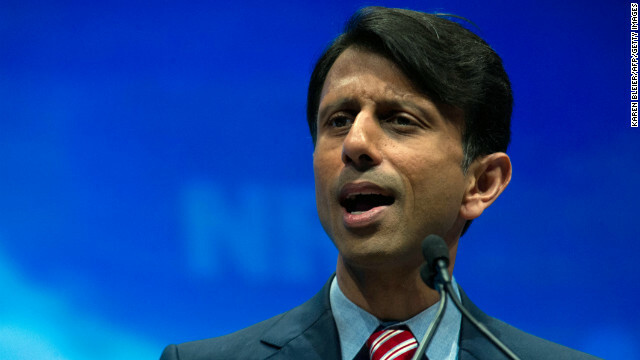 Louisiana Governor Bobby Jindal, seen here, has created a school voucher program that is one of the largest in the U.S. It was recently ruled unconstitutional by a state judge. Editor’s note: Robert Enlow is president and CEO of the Friedman Foundation for Educational Choice, the legacy foundation of Nobel laureate and school choice founder Milton Friedman and his wife, Rose. If you follow the logic of America’s teachers unions – and particularly those in Louisiana – it’s better for all children to get a lousy education than for some to get the chance to escape to a better school using a voucher. Such were the absurd arguments recently before District Judge Timothy Kelley, who erred in ruling that Louisiana’s school voucher program violated the state’s Constitution by using education dollars from the state’s funding formula. The program, which started this fall, gives 4,900 pupils a seat in private or parochial schools. But children shouldn’t be victims of funding formulas or arguments about how many get a place on a lifeboat when the educational Titanic is sinking. About 72% of the state’s public schools are rated C, D or F, according to the Louisiana Department of Education. For those who earn a diploma and enter college, 34% of college freshmen needed remediation in 2010. Unions may claim that they embrace education reform, but their actions show that they are more concerned about perpetual funding of the education bureaucracy that results in too many children dropping out, becoming unemployed or going on government assistance programs. When unions or school boards feel threatened by school choice, they throw children under the bus. And in Louisiana last week, 4,900 children certainly were the victims of adults putting their interests before children. Republican presidential candidate, former Massachusetts Gov. 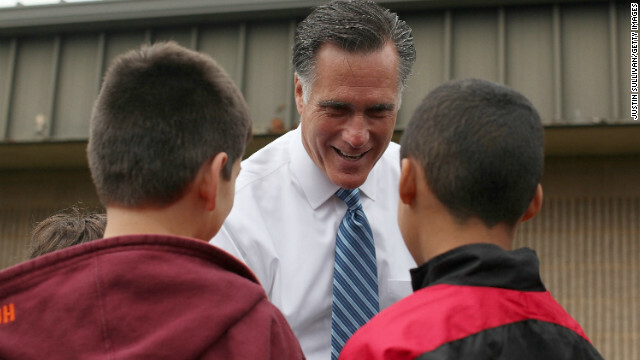 Mitt Romney greets students at Fairfield Elementary school on October 8, 2012 in Fairfield, Virginia. 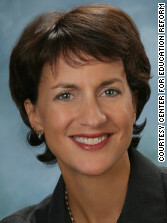 Editor’s note: Jeanne Allen is the founder and president of The Center for Education Reform (CER). 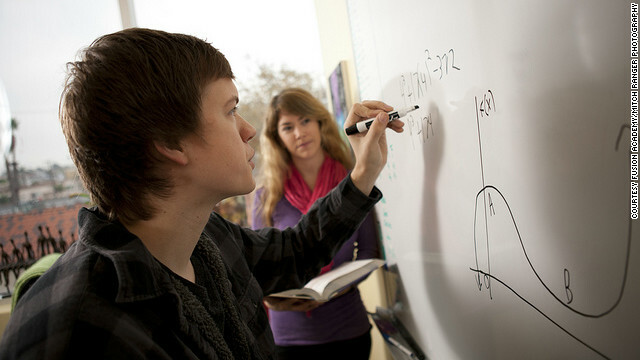 The center was founded in 1993 to bridge the gap between policy and practice and restore excellence to education. Schools of Thought has published and will continue to publish other views on this topic in the days up to the election. This short, simple statement from Gov. Mitt Romney in an October 24 speech in Nevada sums up the real distinction between education reformers and protectors of the status quo, and reveals why when it comes to education policy, Romney would be a superior president - because he promised to put children, parents and teachers first, and to “put the teachers' unions behind." The day has passed when that could be considered a partisan statement. 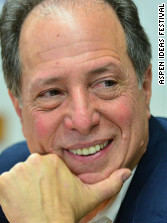 We’ve heard stronger words, for example, from many Democrats, from former NYC Chancellor Joel Klein (also of the Clinton administration) to former New York City Councilwoman Eva Moskowitz (now of Success Charter Network) who pressed the unions to explain why their contracts were protecting mediocrity instead of boosting high-performing teachers. Pennsylvania Sen. Anthony Hardy Williams helped then-Republican Gov. Tom Ridge push through a charter school law in 1997. And in 2010, Williams ran for governor on a platform of school choice. His core message was that parents and teachers should come ahead of unions. Sound familiar? Education reform is not, by any stretch, a “Republican” issue. The national Democratic Party has always viewed the education establishment as its bedrock constituency – from unions to school districts. But it’s different at the state and local level, where Democrats often reject the status quo, joining in a diverse coalition of voices pressing for significant reforms at every level. While individually most of those Democrats will vote with their party, they are nevertheless closer to Romney’s view of education than they are to Barack Obama’s. Many have confided to me that their hope is to change the Democratic Party’s culture from one that favors teachers unions to one that favors parents. 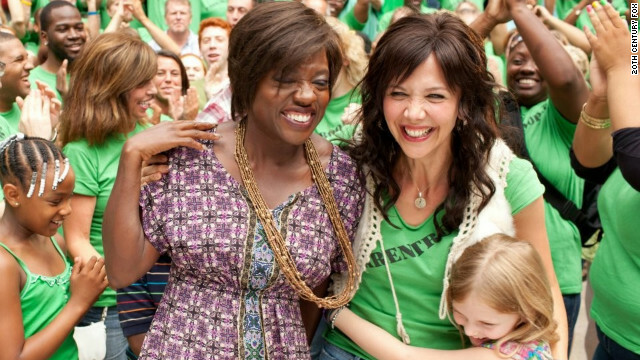 Viola Davis and Maggie Gyllenhaal star in "Won't Back Down." 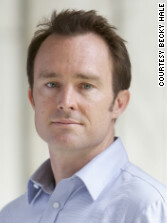 Editor's Note: Sam Chaltain is a Washington-based writer and education advocate. He can be found on Twitter at @samchaltain. (CNN) - "Won’t Back Down," the new Hollywood film about two mothers determined to take over their children's failing inner city school, represents everything that’s wrong with the present way we talk about school reform – and everything we need to talk about more in the future. The film itself feels like Soviet-era propaganda. No characters are well-developed; they’re all two-dimensional mouthpieces for different constituency groups’ pet programs and policy proposals. Even when the filmmakers try to instill a bit of complexity – such as the Teach for America alum who works in a neighborhood school and was raised in a family with deep union ties – the strings of the puppeteer are too easily visible for anyone interested in the story more than the sound bite. It’s a lousy movie, plain and simple. "Won’t Back Down" is also lousy at orienting viewers to the complexity of our current efforts to improve public education. School choice is presented as a panacea in and of itself, and the process of turning a struggling school into a successful one seems to involve little more than a few all-nighters, some dogged persistence and an unwavering belief in the rightness of one’s cause. If viewers took this film at its word, they might think that all we’d need to do to transform public education is scream “Power to the People” and presto! No more failing schools. Unfortunately, it’s more complicated than that. And yet, even though the film’s treatment of school reform is misleadingly simplistic, it would be equally misleading to dismiss it altogether. In fact, the core issues it raises – the importance of parental engagement, the injustice of American education and the illogic of a sclerotic system of schools that has outgrown its Industrial-era mission – are exactly the sorts of issues we need to explore more deeply as a nation. Fusion Academy, a chain of private for-profit schools with 12 locations in California, boasts a highly personalized curriculum and a 1:1 student-teacher ratio. (CNN) Like many students his age this time of year, Luke Gulley, 16, sits at a desk in a small classroom waiting for his lessons to begin. What sets this young man’s experience apart from most other students is that while many public schools across the country are dealing with overcrowding, Luke is the only kid in his class. Luke is a student at Fusion Academy, a chain of private for-profit schools with 12 locations in California that boasts a highly personalized curriculum and a 1:1 student-teacher ratio. 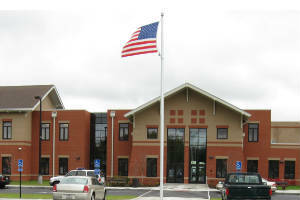 On Friday, the New York State Education Department approved Fusion Academy’s application to operate in New York. 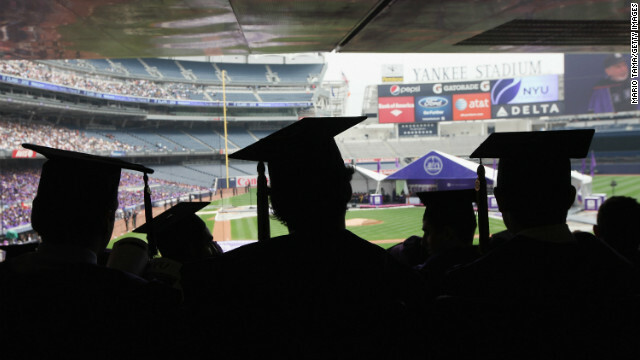 Classes will begin this week at campuses in Long Island and Manhattan, with a third scheduled to open in Westchester in January, according to school officials. Fusion was founded by Michelle Rose Gilman in 1989 as a tutoring center. It grew into an alternative, hands-on approach to educating a special brand of students, grades 6-12. (CNN) – Public, private, parochial, charter schools: There's no shortage of options on where to send your children for their education. But a growing number of Americans are choosing not to send them anywhere at all, opting instead to educate them at home. 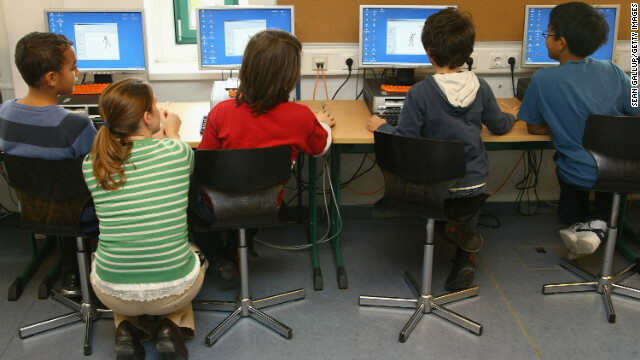 The National Center for Education Statistics says that 1.7 percent of kids were homeschooled in 1999, 2.2 percent in 2003, and 2.9 percent in 2007. Today, that figure is at 4 percent, according to an article published at EducationNews.org. So it appears that the homeschooling growth rate is more exponential than it is steady. 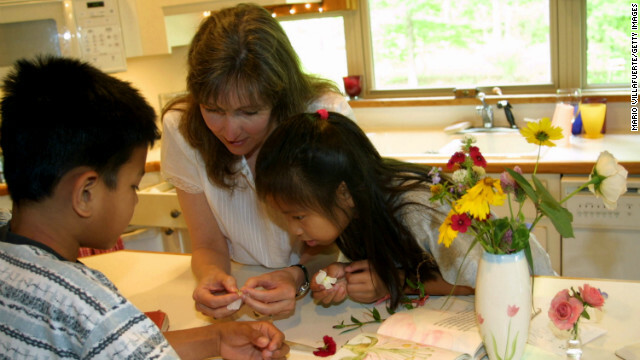 Most parents aren't certified teachers, so it stands to reason why some question the effectiveness of a homeschool education. But the Home School Legal Defense Association, an advocacy group in favor of homeschooling, reported in 2009 that homeschooled students averaged 37 percentile points higher on standardized tests than their public school counterparts. EducationNews.org backs that up, saying that while students in traditional schools mark the 50th percentile on standardized tests, students who are “independently educated” score between the 65th and 89th percentile. Of course, there’s a time commitment involved in homeschooling that many families simply can’t make. If a single parent has a full-time job – or if both parents do – setting aside several hours a day to educate a child simply isn’t feasible. And the arguments against homeschooling – from varying state requirements to reduced social interaction among peers to a lack of student competition – can be challenging issues to address. But if the number of kids who are homeschooled continues to rise, it may signal a noteworthy trend. (CNN) - A recently released study by the Brookings Institution at Harvard has stirred up the debate over school choice and vouchers. In some districts and states, parents can get vouchers to pay for their children’s education. 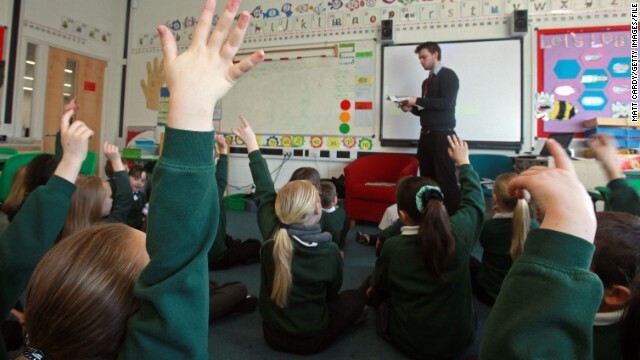 Parents may choose to send their children to religious or private schools using the vouchers as payment for tuition. Much of the research surrounding the effectiveness of vouchers centers on more immediate outcomes, such as test scores. 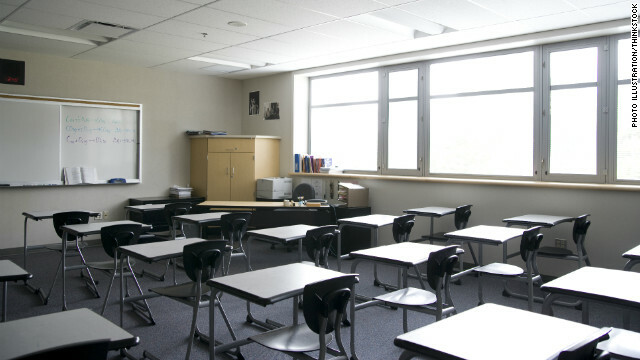 The Brookings study was based on data collected on students who were recipients of vouchers from the privately funded New York School Choice Scholarships Foundation program. In 1997, the foundation offered three-year scholarships of up to $1,400 per year to 1,000 low-income families whose children were either entering first grade or were already in public schools in second through fifth grades. The Brookings study claims to be the first that used “a randomized experiment to measure the impact of school vouchers on college enrollment.” It also claims to be one of only a few studies to track longer-term outcomes, years after students received their first vouchers. Overall, the study found no effect on college enrollment, except among African-Americans, where there was significant impact.